I know what you’re thinking. I’m a teenager, I can’t drink. That’s true, but I’m not talking about that kind of hangover. I’m talking about the ever-dreaded book hangover. When you want to read, but don’t know what. Everything seems like a bad idea. You need a life change. 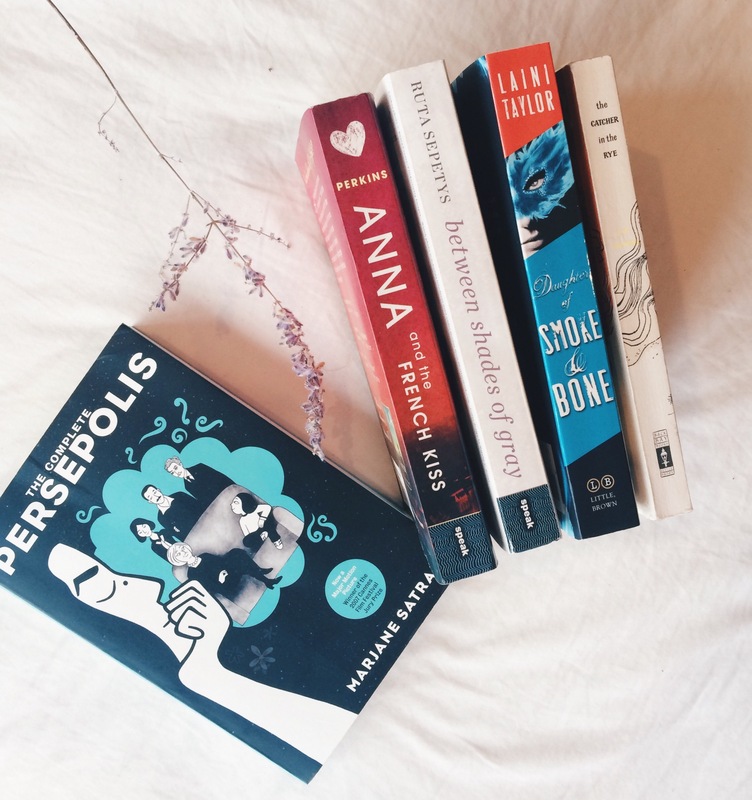 Here are five books I read when I’ve had a serious hangover. Um- book hangover. This is the book you read when you’ve read too much superficial contemporary. When you want a gritty – no silver lining – cry your eyes out novel. It leaves you thinking about it days after you’ve turned the last page. This is the perfect fix because Persepolis isn’t really a novel, per se. It’s a graphic novel autobiography (wow, that’s a mouthful!) about a teenager growing up in revolutionary Iran. There’s a lot of reading, but since there are so many pictures, it doesn’t quite feel like you’re reading a book. So. Much. Fluff. Anna and the French Kiss is pure fluff that will make you smile so hard your mouth will hurt, which is the perfect cure after reading so many depressing, gloomy books with “important messages” and “life-changing ideas”. Admit it- we all need a break sometime or another. Daughter of Smoke and Bone is one of those beautiful, lush fantasies that completely restore your faith in young adult fantasy novels. It transports you away from earth and into a completely different world. Ok, hear me out on this one. Yes, it’s a classic, but it’s so good and gets better every time you read it. Usually, I don’t read the whole book (I know, I know) but instead just the first 100 pages. That’s the best part. Then, like magic, I’m cured of my hangover!